I'm not much of a watch guy. I had a cheap (by comparison) Seiko watch which I lost. So I wanted to get back into wearing a watch. It just completes the look when going out to dinner or going to work. I looked into getting another Seiko. Scoured Amazon for what felt like eternity only to come up short, finding mostly your typical silver drug store watches. I realize you can easily find something expensive out there from Hamilton to Tag Heuer to Rolex . But I'm not that flashy. Besides, I'm not willing to drop over $800 on something I'm sure I'll damage or lose. I wanted something unique, high quality, a bit hip. 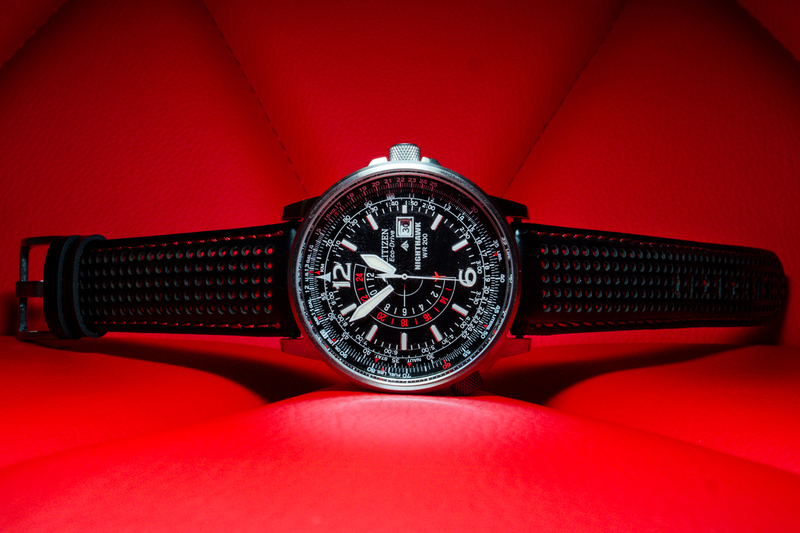 I stumbled onto the Citizen Nighthawk after seeing gorgeous photos of this gorgeous watch. I don't know much about watches but when I saw this I knew I had to have it. This watch has been out for a few years now and has quite a following due to it's value for money, build quality, and cool looks. Mine came with a typical silver metal watch band. I wanted something to match the red print on the watch face and opted for a Panatime 22mm Perforated Genuine Leather Band with red stitching . Voila! It matches the watch and I've gotten a TON of compliments on it already. Don't forget the spring bar tool set . You'll need it. The watch feels great to wear. It's not too bulky, not too heavy, and best of all requires only the power of the sun to run it. It has a quartz Eco Drive movement which uses the front of the watch to power it--it's a solar panel. A full charge will allow the watch to run 180 days (6 months) without interruption. 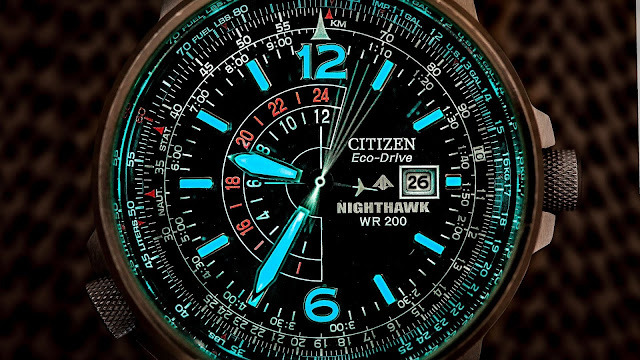 The Citizen Nighthawk also features illuminated markers that glow in the dark as pictured below. It also has some other complicated features which I haven't looked into yet. Particularly a slide rule bezel which is used for measurements of fuel and distances. Some pilot stuff. I'm really happy with this purchase and am starting to look at higher end Citizen watches. 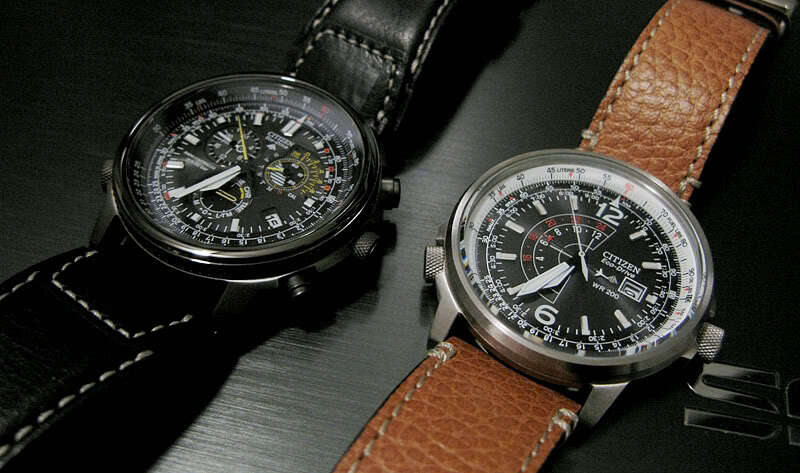 Particularly, I'm checking out the Citizen Navihawk . For the price, $300, I can't recommend this watch enough. Get one for yourself, for dad, brother. Inexpensive, cool looking, and substantial enough to want to stare at it in awe. A very nicely made piece, indeed. All photos used which are NOT mine were found on google. If the owners of these photos would like credit, please tell me and I'll gladly mention you or remove the photos at your request. Lovely photography! I did, however, take the first photo with red background. I appreciate you guys using my links to shop at Amazon. 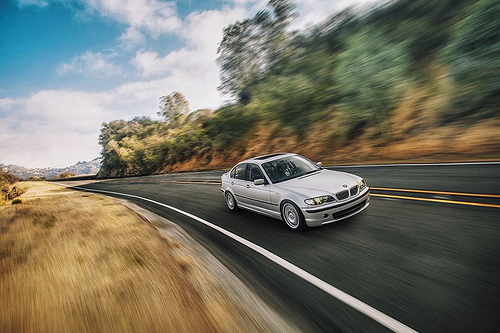 I get a small cut for whenever you use them and it helps me generate new contents and all gadget or BMW E46 related articles.